Spaghetti squash pastitsio is a healthier gluten free casserole recipe with the tastes of a traditional Middle Eastern dish. This week #SundaySupper is traveling to the Middle East to bring you a menu of exotic and flavorful dishes. I went with a non-traditional rendition of a very traditional dish that appears in the cuisine of several different countries with my Spaghetti Squash Pastitsio with Greek Yogurt Bechamel. Oh my gosh, let me tell you about Friday. I had high hopes. Baby Smiles, who still likes to wake up every 3 or 4 hours, slept from 7:40 pm to nearly 5 am, then went back to sleep. The Bug also was out cold, and I wasn’t falling back to sleep, so I got in my third workout of the week. Baby Smiles started to stir, but The Bug was still asleep, so I was able to feed him before waking up the big guy. Yeah, waking up the big guy – that is when all hell broke loose. Apparently putting solid color underwear on him instead of underwear with characters on it was clearly worthy of inducing a tantrum of epic proportions that involved peeing in his little potty then proceed to throw the potty across his bedroom. Yup, it was that kind of morning. Even Baby Smiles was freaking out because I didn’t get to put him down for his nap until after he was already a little overtired. And it didn’t end there. The Bug jumped around his bed instead of napping, and had another screaming fit because The Hubby had to run outside to the car for a minute to grab his bag, and told The Bug to wait inside because he didn’t have socks or shoes on. This same fit was prolonged because when he said he was thirsty, The Hubby brought him his cup instead of letting him drink out of the teensy-weensy zippy cup that already contained Baby Smiles’ backwash. I boiled the same pot of water three different times because the first time I started it, my mom told me she was going to go straight to my uncle’s and wouldn’t be stopping for dinner because they were behind schedule, my aunt and cousin figured they’d wait till my uncle’s party to eat, and then finally I got to cook the pasta when our friends arrived. Luckily their arrival turned things around. The Bug’s mood changed instantly, the kids gobbled up their pasta and tomato veggie sauce, we got to chat with our friends that we don’t see often enough. There was wine. So a day that started with such promise and turned pretty ugly ended up being pretty awesome in the end. Yeah, it ain’t pretty. And as a food blogger, I like pretty food. All of you folks out there on Pinterest like pretty food. I’m telling you, just because food is pretty doesn’t mean it tastes good, and sometimes the ugliest stuff is the most delicious. 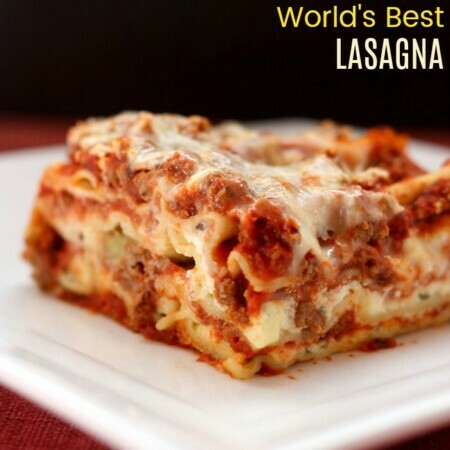 Spaghetti squash pastitsio – ugly! But the flavors are incredible! If you are hung up on how your food looks, then make it and just close your eyes when you eat it. Or throw it in the fridge and reheat it the next day. 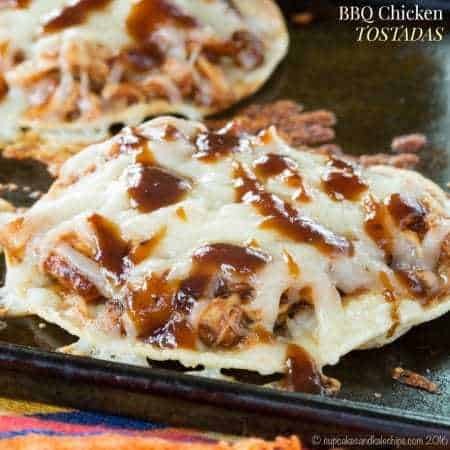 It’s a little less sloppy, and tastes just as good. Maybe better! The aforementioned friend and I polished off the leftovers. The warm spices added to the tomato sauce give such an incredible, exotic flavor compared to a standard tomato sauce. 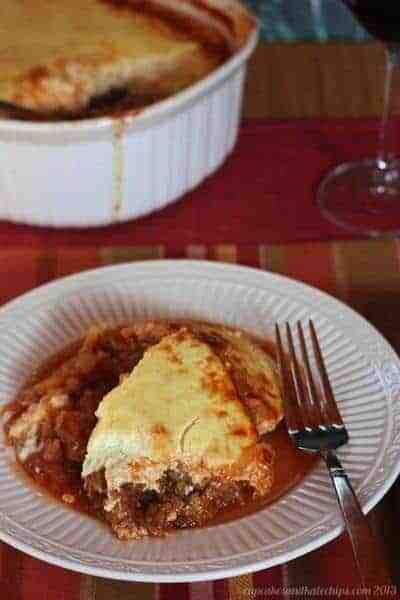 It is nice and meaty and comforting, without being as heavy as a traditional pastitsio made with pasta. 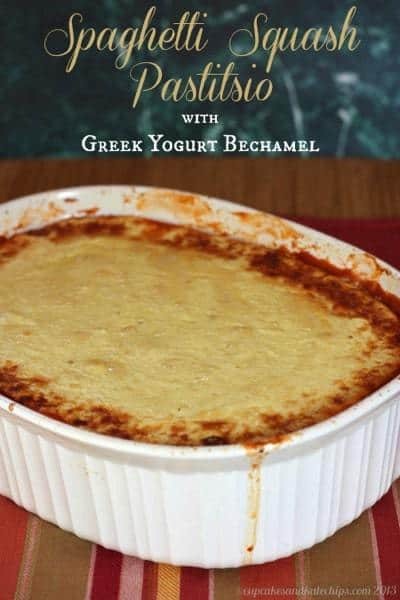 Also helping to lighten the dish is the béchamel made with Greek yogurt instead of the typical butter, flour, and whole milk or heavy cream. The creaminess and tang is a nice contrast to the acidity and meatiness of the tomato-based sauce on the spaghetti squash. It is as good, if not better than I hoped as I was thinking about it during middle of the night feedings. I don’t care if it is ugly! After you print the recipe for the spaghetti squash pastitsio, check out the other delicious Middle Eastern recipes at the bottom of this post. Do you have a favorite Middle Eastern dish? Or one that you would like to try? Prepare the spaghetti squash by following these instructions for cooking in the oven or these instructions for cooking in the microwave. Scrape out the "noodles" into a large bowl using a fork and set aside. Meanwhile, heat the olive oil in a large skillet over medium heat. Add the onion, season with salt and pepper, and cook for about 5 minutes, or until onion starts to soften and become translucent. Add the ground been to the skillet, and cook until cooked through and browned, crumbling it as it cooks. Once the ground beef is cooked through, drain any excess grease from the pan. Add the oregano, cinnamon, and allspice, cook for a minute or two, then add the crushed tomatoes, and simmer until heater through. Meanwhile, prepare the Greek Yogurt Bechamel according to the instructions below. 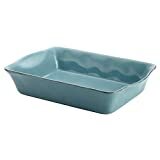 Preheat your oven to 400°F, and coat a 2 quart casserole dish with oil or cooking spray. Pour the tomato meat sauce over the spaghetti squash. Depending on the size of your spaghetti squash, you may not need all of it, or you may also wish to keep some set aside to pour additional sauce over when serving. Transfer the spaghetti squash and tomato meat sauce mixture to the casserole dish. Spread the bechamel evenly over the spaghetti squash mixture, then sprinkle with the parmesan cheese. Bake for 40-50 minutes, or until bubbling, and the bechamel is set and browning. 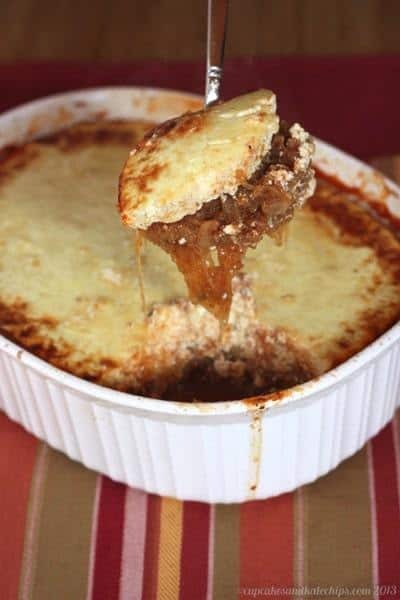 Stir together all of the ingredients in a bowl, and set aside until assembling the pastitsio in the casserole dish. 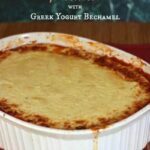 Greek Yogurt Bechamel adapted from Sumptuous Spoonfuls Moussaka. Want some more ugly but good food? It looks beautiful to me! 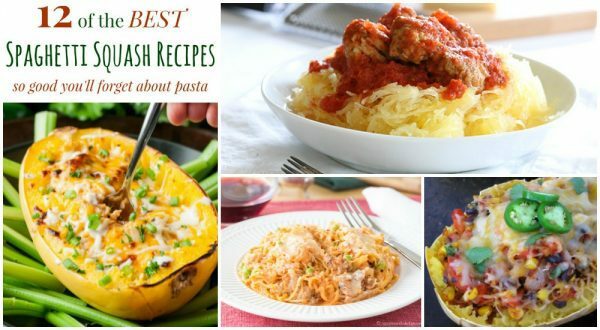 It makes me happy that my recipe inspired you … I never thought to do this with spaghetti squash. Well done! And hang in there with the little ones … it does get better … (once you get past the teenage years). Ann, so funny you just saw this ping. I updated this recipe but posted it ages ago. But it was amazing and thanks for your inspiration! I agree, fancy phots do not mean great food or recipes. I’m glad your family and friends enjoyed it and I am big-time into squash these days. This looks good. This is my second time making this dish and it is SO good! The cinnamon and allspice make it so different and delicious! It is a little watery due to the spaghetti squash though – any tips on this? Thanks! Hmm, how do you prepare you spaghetti squash? I find roasting gives it a little less moisture than if you stems or cook it with water in the microwave. But I think spaghetti squash does just tend to be a little watery. This really looks great. 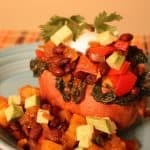 I love spaghetti squash in new and exciting ways! Thanks for sharing at Wake Up Wednesdays. I’ve pinned this! Casseroles are never pretty… haha but that’s ok because I like to eat ugly foods. I rarely order pastitsio because it is too heavy. Interested to try your lightened version. I know, pastitsio is so heavy, but the flavors are so good, which is why I had to try this out! I am crazy about Greek food. Love that you used spaghetti squash instead of pasta and the bechamel sauce is awesome. Thanks Christie! I love Greek food too, so much that I think I always eat to much when I do get it, so that is why I am glad I tried lightening it up! If it tastes amazing, then I don’t care how a dish looks. I also love the yogurt bechamel! Wow, what a day! I am tired for you!!! The dish may not be the prettiest, but it does look incredibly delicious which is, bottom line, the most important part!! I love your idea of using Greek yogurt for the bechamel!! Genius!! Wish I could take full credit! It was an awesome idea that I borrowed. I remember those days well, Brianne. And my little ones are 20 and 22. 🙂 I am so glad that your day ended on an upswing. You know what, it seems to me that most comfort food isn’t so pretty. Because the truth is that we aren’t eating those dishes for their looks, but for the flavors and textures that fill us with love. Never mind the pretty picture. I think your dish sounds wonderful. Thanks Courtney! I totally agree! I’m a big fan of pastitsio. 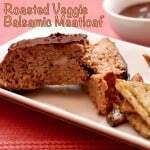 Your veggie version sounds delicious! Oh the challenges of being a food blogger and making food that isn’t pretty. Don’t worry about it. Some of the best tasting dishes ever are not photogenic. If you have ever seen rouladen you will know what I mean. 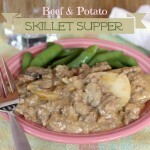 It literally looks like sh#t but it is my all time favorite beef dish. Haha! Ugh and now we have to contend with it getting darker earlier!! OH I hate it when good food goes bad LOL But, like you said, some of my best dishes have been less than pretty. I am in love with your bechamel by the way!! Isn’t the bechamel a great idea?! Wish I could take full credit. Oh, I’m so sorry for your day!!! But it was good for a giggle…since it wasn’t me 🙂 But glad your pasta dish was DELISH…though I know you wanted that glamour shot!!! It’s all good, since the day ended on a high note. Your posts make me smile because they bring back so many wonderful memories…. I can remember when my daughter would wear only Cinderella undies and nothing else would do. 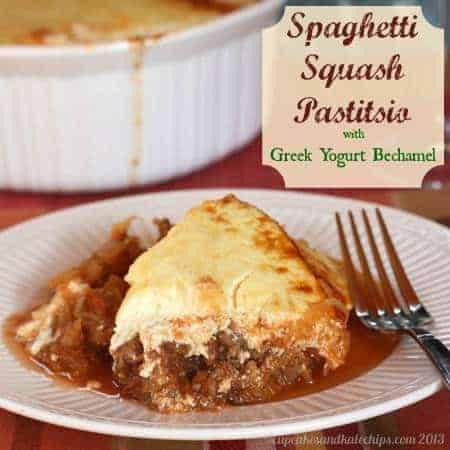 I love pastitsio and I can’t wait to try it with squash. Such a fabulous idea! I am not good at journaling, so I am glad I have the blog so that I can look back and laugh. I can’t wait to try this recipe Brianne! This looks amazing! 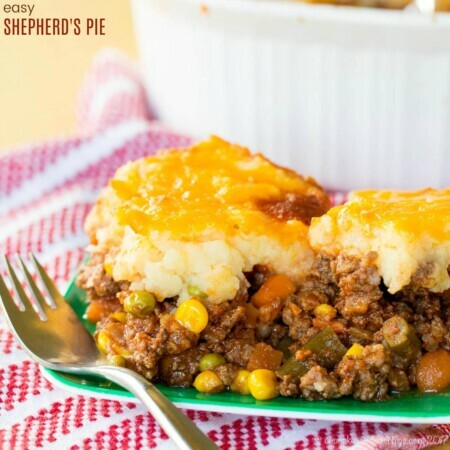 I say the same thing every time I make a casserole… EVERY TIME! I have to totally agree with you – sometimes the ugliest food really does have the very best taste. I can’t wait to try this recipe out on my family. I really want to make it today! Thanks for hosting Amanda. This was the perfect opportunity to experiment with this dish that I have been dreaming up for awhile. Fabulous idea to go light with a Greek yogurt based sauce, Brianne. Very smart! 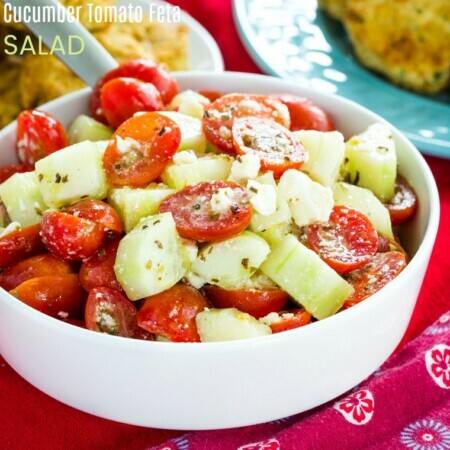 A foodie friend inspired the Greek yogurt idea – pretty smart!